The Sweet potato is a versatile and increasingly popular vegetable and is certainly able to grow outdoors in the milder areas of the UK. In other areas it does well in the greenhouse, glasshouse or polytunnel. It is a scrambling, tender perennial closely related to Morning Glories and it grown as an annual and harvested in the early autumn. Pot into Compact Rootrainers and allow to grow on. Alternatively, order cuttings or slips, which will be delivered from late April onwards and pot the cuttings immediately into the Compact Rootrainer trays. This entry was posted in Grandpa Haxnicks and tagged Potato Patio Planters, Extra Thick Fleece Blanket, Compact Rapid Rootrainers, Vegetable Sack on 11th December, 2009 by Haxnicks. Almost anything can be grown from a cutting. It is also an easy and cheap way to obtain more plants. It is also an excellent way to keep your half-hardy perennials from year to year. Rootrainers excel with cuttings of all types. With cuttings, good preparation is essential. In particular the seed tray, compost mix and the moisture are vital. In late summer, take a few cuttings from your container plants, hanging basket plants and half-hardy border plants and root them in the greenhouse and then pot them up. Cuttings love a lot of side – that is why most cuttings are initially placed around the side of a large pot, or in very small pots, to be re-potted later. 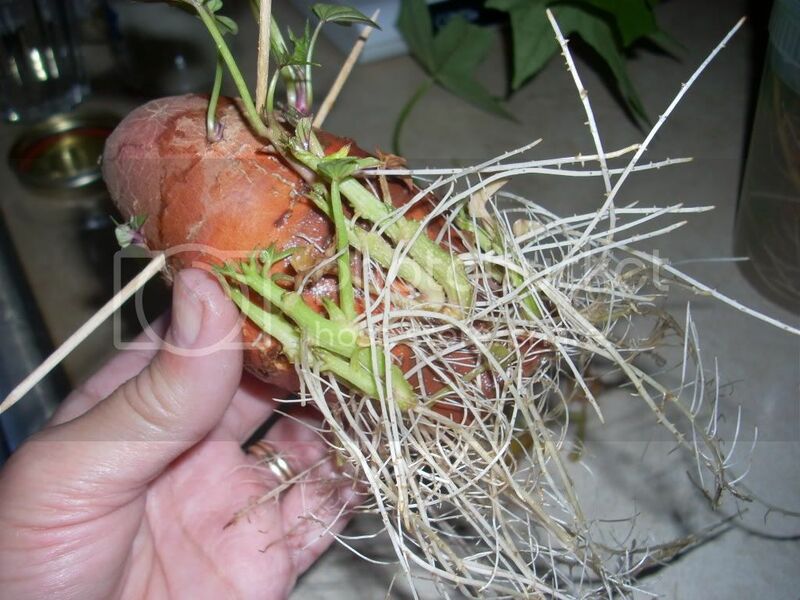 But, re-potting requires skilled timing, and will cause root disturbance. Rootrainers are small pots, with a massive amount of side. But, unlike small pots they have depth and don’t become pot-bound, so timing ceases to be critical and there is no re-potting. Try any nodal, stem, leaf or root cutting for success. The encouragement of quick root growth and natural air pruning achieved by Rootrainers will create a marvellous root plug. Some cuttings can be ready and planted up within a very short space of time, but others can be left in over winter and even longer if you want to grow semi-standards. ½ pot of grit or sand (for free drainage). Mix all the components together well. Fill the trays as you would for seed sowing, making sure the compost comes level with the top of each cell. Most cuttings will prefer the 8cm Rapid (Shrub) size - it is ideal for geraniums, fuchsias, marguerites, chrysanthemums, lavenders and shrubs. They can be grown in the longer 12cm Deep (Sherwood) size, but it is generally desirable to get the air-pruning in earlier to encourage new root growth at the first opportunity, and this will occur more quickly in the 8cm size. It should also be noted if you are going to place your cutting later in a house pot or a hanging basket, it may not be desirable to have a longer root system. The 12cm Deep (Sherwood) size is excellent for hardwood cuttings, soft-fruits, clematis nodal cuttings or oriental poppy root cuttings and similar plants. The longer cell is excellent for retaining semi-standards grown from fuchsia cuttings etc, where they can be held in a Rootrainers for well over a year. Many cuttings can be placed in either size according to individual preferences and circumstances, but in all instances success with cuttings will be easier, difficulties fewer, handling will be less, compost and space will be saved, and the plants will be stronger if you use Rootrainers. Before planting your cuttings give the seed trays a good soaking using a watering can. Leave the seed trays with their plastic lids on to conserve water while you select your cuttings. Hardy cuttings need to be placed in a sheltered position away from full sun – ideally in a cold frame. Put them somewhere handy so that they can be looked at daily. If the leaves of the cuttings look a little wilted then, using a water sprayer, you can give them a light spray. With Rootrainers, it is easy to check moisture levels and how the roots are doing. Just open the ‘book’, check and re-close. But - a little hint! Don’t open them until the plant is reasonably established and the roots have hit the side; otherwise you may just be pulling the soil away from the roots and weakening the strength of the plug. Rootrainers packs come with a clear plastic propagating-lid, which sits on top of the tray and retains the moisture and warmth. This can be easily removed and replaced for watering, and provides the ideal growing environment for most cuttings - but do not use the lid for geraniums and other plants that do not like humidity. When plants have developed sufficiently, the lid can be placed under the tray for capillary watering if desired, and for clean handling – ideal if you are keeping or over-wintering plants indoors. This entry was posted in Grandpa Haxnicks and tagged Deep (Sherwood) Rootrainers, Low Maintenance Deep (Sherwood) Rootrainers, Low Maintenance Rapid (Shrub) Rootrainers, Rapid (Shrub) Rootrainers on 8th December, 2009 by Angus Lewes.